I have a problem that I think most moms have. I can’t seem to keep my house clean. No matter how many trips per month we make to The Goodwill to drop off our excess, the junk seems to multiply like my daughter’s favorite animals: bunnies! And with my personality, it just drives me nuts. I spend a lot of time putting things away, vacuuming floors and purging stuff. And my poor kids. They just want to play and I just want to put every thing away. Today, I looked at the house. I saw the mess and I decided that I would embrace it. And more importantly I would embrace life. 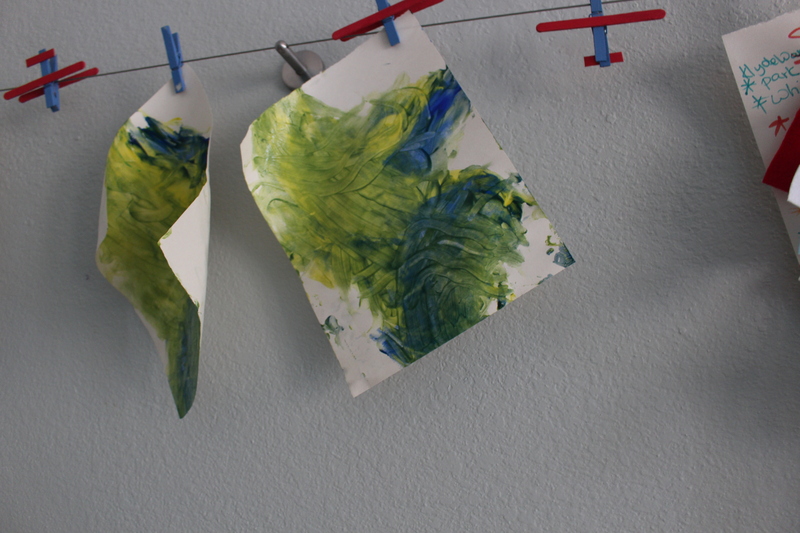 I pulled out the finger paints which is something I’d much rather display than use. Being honest here. 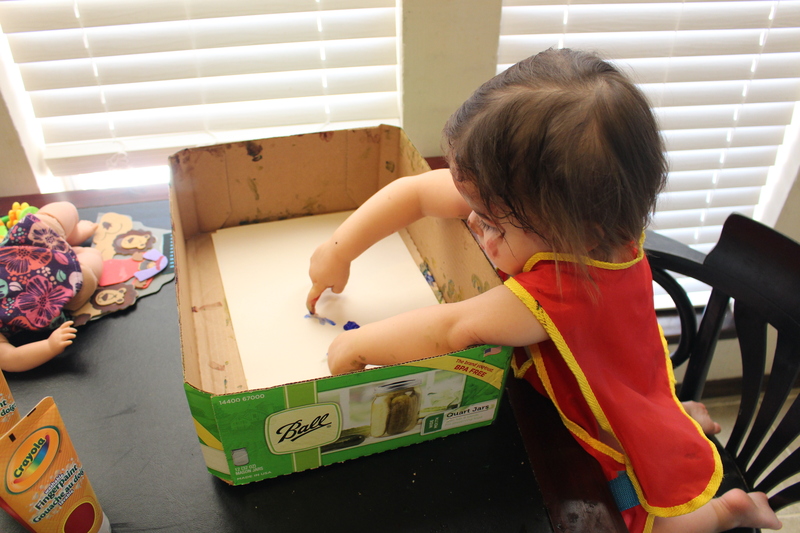 Here’s Charlee doing finger paint in a box (a trick I picked up from her brilliant teachers as it helps better contain the mess). Or so I thought. Love this girl. 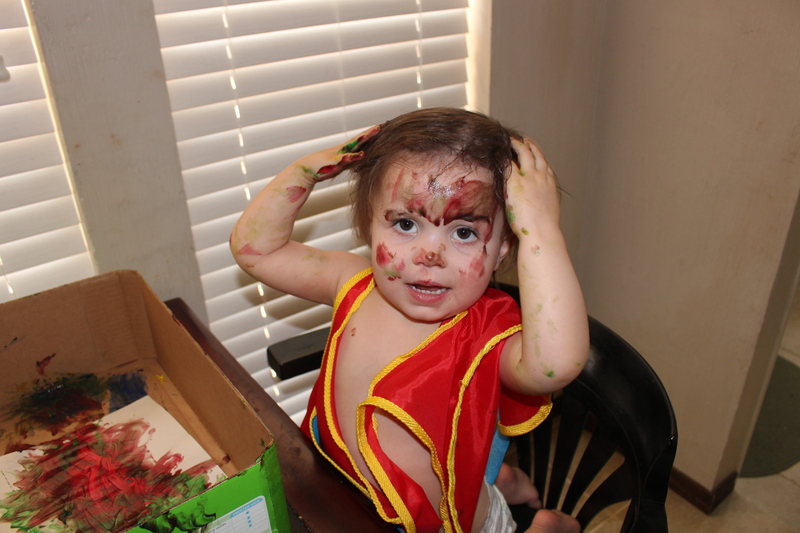 Unlike my eldest, she is not afraid to get her hands, her face, her entire body dirty in order to have fun! 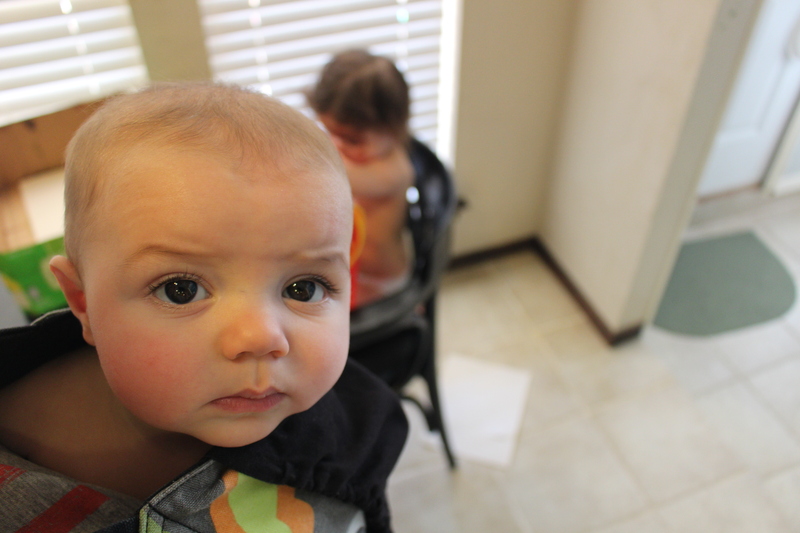 Here’s my youngest taking it all in. And while my eldest was at swim lessons and Charlee was having a blast with paints, I knocked out a few projects. My mom made this cross stitch piece 7 years ago. It has been sitting in a box folded up for SEVEN years! All because I’ve wanted to get it professionally framed. 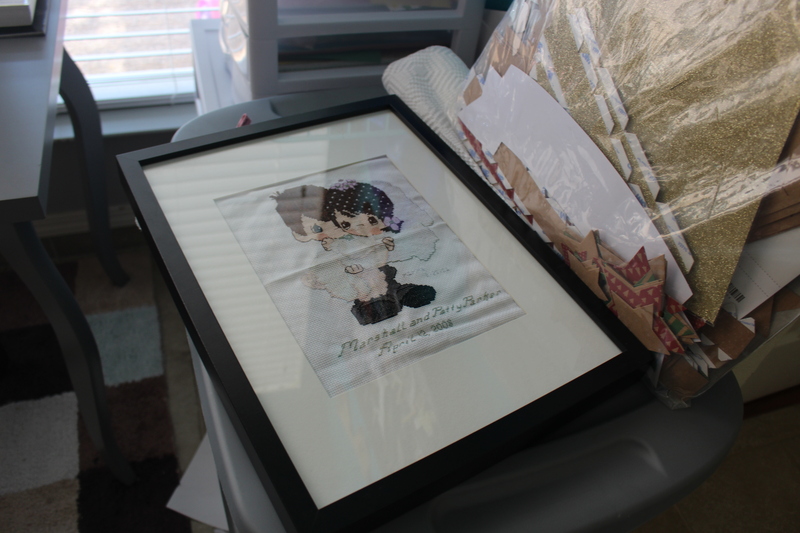 It may not look as pretty in this frame but it is IN a frame! 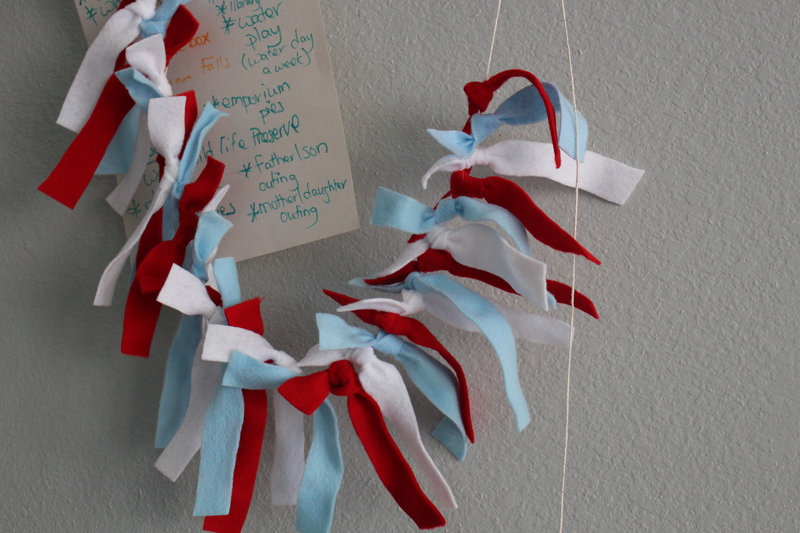 And here’s some patriotic garland I hope to hang from the mantle. 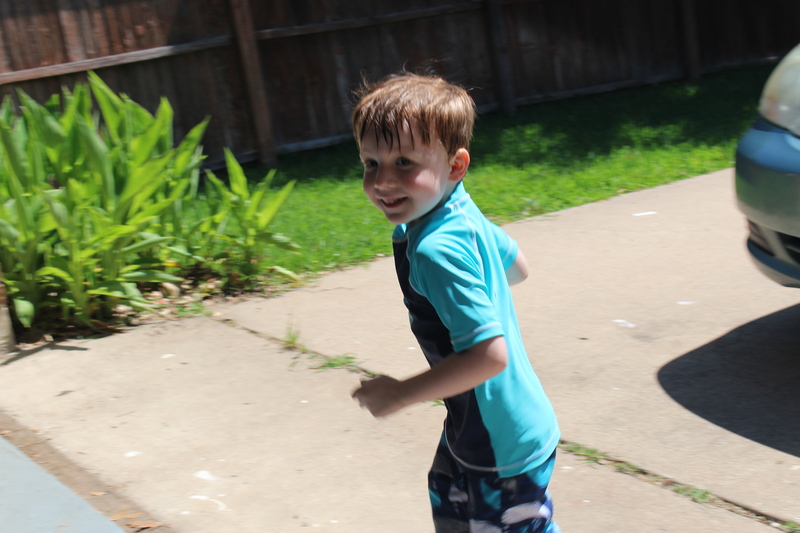 Here is my handsome guy after his first day of swim lessons. So although my house may not be pristine right now, my heart is full. Perhaps I’ll embrace the mess more often!